Emily Carpenter has served the coalition since 2012, when she joined the KCFC team as part of the U.S. Department of Energy’s Clean Cities Workforce Development Program. She began her role as Executive Director January 2018. Through years of dedicated service to KCFC’s goals, she has taken on countless challenges to further fleet environmental sustainability and the advancement of the alternative fuels/advanced transportation technology industry in Kentucky. Carpenter is based in Louisville. She oversees programs, coordinates projects, and manages the fiscal well-being of the KCFC. Her educational focus was energy and environmental policy. A Kentucky native, Carpenter is a graduate of the University of Kentucky’s Patterson School with a master’s degree of Diplomacy and International Commerce. Carpenter has experience in energy procurement and market analysis as well as grant writing, program management and project development. 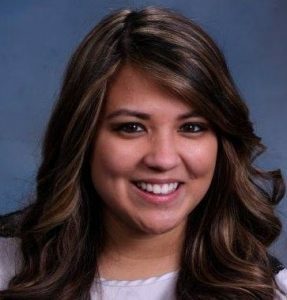 Eileen Embry serves as intern to the Kentucky Clean Fuels Coalition through the U.S. Department of Energy Clean Cities Workforce Development Program. Embry earned a Bachelor of Science in Biology and a Minor in Informatics from Indiana University. She is now pursing her master’s in Environmental Science and Sustainability. Embry joined the energy industry in 2015. She has experience in volume management and energy procurement. Embry is a resident of Bullitt County. 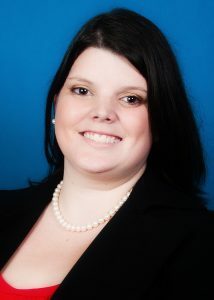 In her role as intern, she will be assisting in the development of coalition projects and supporting program efforts.